Desirably boho, woven tapestry bags like this are back. 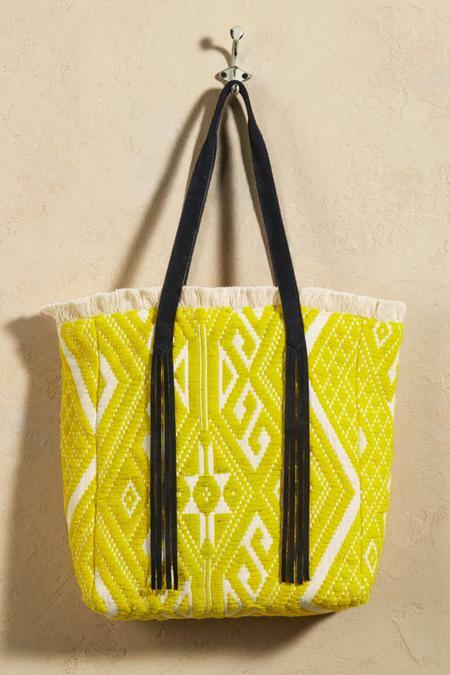 Our handcrafted, textural tote impresses with one vivid color in an angular, tile-inspired design. The roomy, lined interior offers two slip and one zippered pocket. Outside, fluffy fringe tickles the top and suede handles extend to swingy tassels. A unique take-along to accompany you on your journey(s). Cotton.